Focusing this part of our brain on important tasks takes effort. When we do concentrate our attention, extra blood rich in oxygen and glucose flows to the relevant neurons, helping us concentrate even more. However, our cave-dweller past can upset our plans. We are hard-wired to switch our attention to bright lights or colours, loud noise or movement. It’s one of our many survival mechanisms. In an office, it could be the ping of an e-mail or a flashing light on your phone. Once your attention has been distracted, it takes real effort to re-focus. Prepare your thinking. Remind yourself of the value of reaching your goal or solving your problem. Set a time limit on how long you intend to focus on the task. Thirty minutes may be enough to fine-tune existing ideas; 90 minutes may be better for innovative thinking. Arrange your space to minimize distractions. An unoccupied board room or office where others can’t find you is ideal. If that is not possible, wear headphones or earplugs, turn off all pinging, flashing, vibrating electronic alerts – emails, calendars, and cell phones. You may need to cover lights and/or pull down the blinds. Accept that your brain will kick up repeated distractions to tempt you into a little mind wandering. While you are working on focusing your attention, your brain will try to do what it does more often, which is to happily jump from one thought to another. When you persist in bringing your attention back to the important task you are working on, eventually the rest of your brain will quiet down. Recognize that learning to concentrate is a skill. As you reduce external distractions and train your brain to focus more quickly and completely, you will experience the ‘flow’ of being fully engaged and productive in your work more easily and more often. Don’t wait until ‘you are in the mood’. We are rarely in the mood to do something challenging. Don’t respond to distractions. As soon as you move out of your chair, blood flows to different parts of your brain and muscles, and it’s harder to get back on task. Congratulate yourself for resisting the distraction, promise yourself a reward for staying on task, and celebrate your improved concentration. Don’t expect to concentrate for 1.5 hours at first. 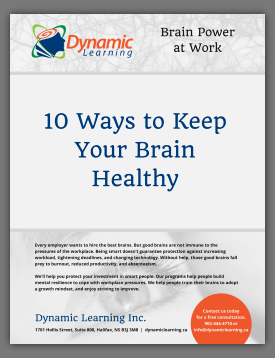 Start with 10 to 30 minute sessions, so your brain has a chance to learn your new process. Your brain cannot store the oxygen and glucose that your stimulated bloodstream brings to your pre-frontal cortex. Every time you give in to distraction, your blood flow is re-directed away and that tires the pre-frontal cortex. It’s like draining the battery of your cell phone when it has too many programs running.